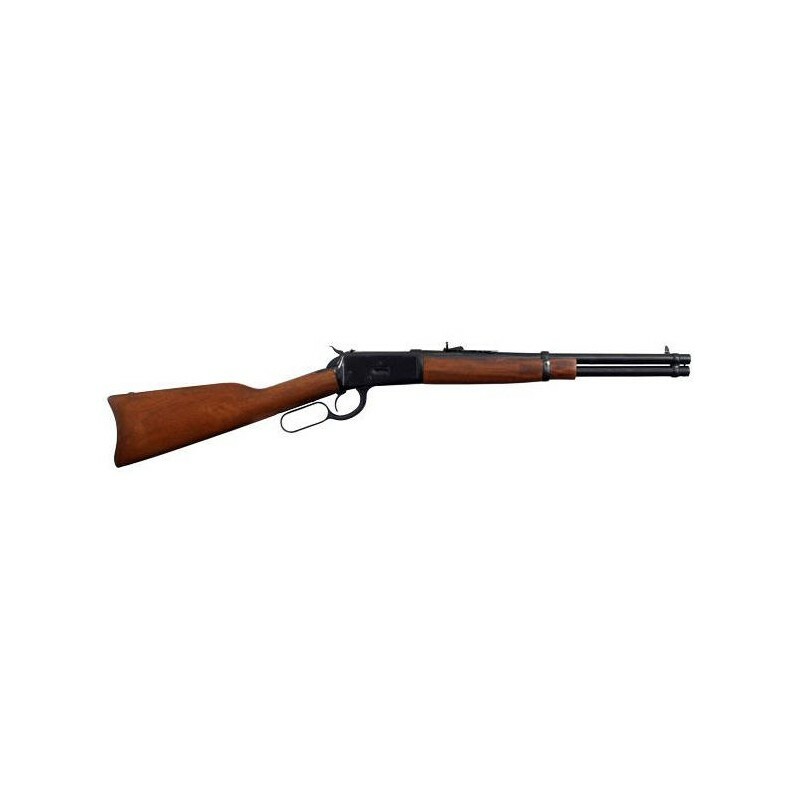 This M92 lever gun is in the sweet-16 inch barrel for easy carry and quick use defending your home. Adjustable prong horn sights. It is a round blued barrel and uses the popular handgun ammo of either 38 special or 357 magnum. Both have a whallop but the 357 is particularly devastating. 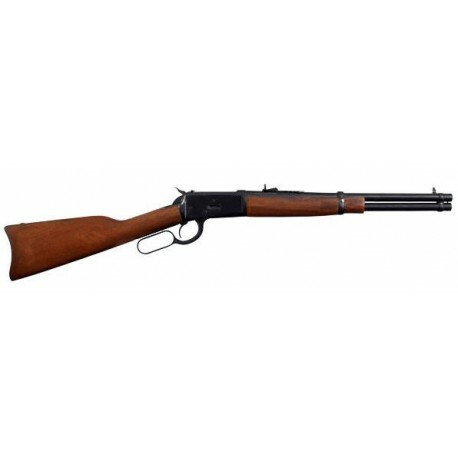 It is great to have a gun that uses your pistol caliber rounds also... expecially when ammo can be hard to find these days.